At Cumnor democracy is taken very seriously. Children are actively encouraged to have a voice and share their views and opinions regularly. Our active school council is one such example. Every September we have an election week when the candidates for class representatives on the school council pitch their election manifesto to the rest of their class. A secret ballot ensues and the results are announced in class. The children love this process and have great respect for the outcomes. The school council representatives (2 per class from Year 1 to Year 6) meet every other week then take the ideas from the meeting back to their classes for discussion between meetings. 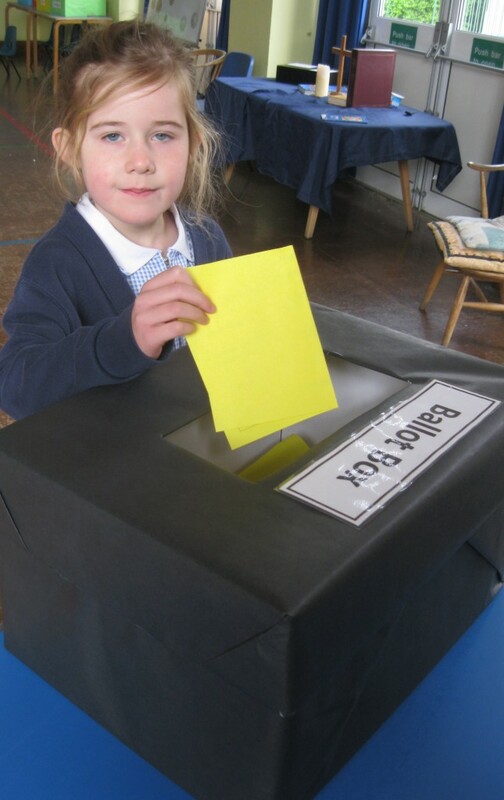 There are many other opportunities for the children to experience democracy in action throughout the year. voting takes place each year to establish which charity we will be supporting (This year it is Syria Relief) and the PSHCE curriculum emphasises the importance democracy, fairness and the right to freedom of expression. 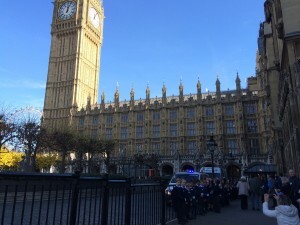 Our Year 2 class recently enjoyed a guided tour of The Houses of Parliament where they could see the results of national democracy in action! All children complete an annual questionnaire which provides them with the opportunity to share their views of learning at Cumnor and suggest ways in which the school could be improved further. Governors also talk regularly to children to establish their views as a way of ensuring that school self-evaluation is robust and accurate, and therefore effective in moving the school forward. The importance of laws, whether they be those that govern the class, the school, or the country, are consistently reinforced throughout the school day, as well as when dealing with behaviour and through school assemblies. Children are taught the value and reasons behind laws, that they govern and protect us, the responsibilities that this involves and the consequences when laws are broken. Our schools rules, rewards and sanctions are referred to regularly and each classes ‘Non -negotiables’ consistently upheld..
they are in a safe and supportive environment. As a school we educate and provide boundaries for young children to take risks and make choices safely. Children are encouraged to know, understand and exercise their rights and personal freedoms and advised how to exercise these safely, for example through our E-Safety and PSHE lessons. Whether it be through choice of learning challenge, how they record their learning, participation in one of our extra-curricular clubs and opportunities, children are given the freedom to make choices and make decisions. As a Church of England School, mutual respect is at the heart of our values. Children learn that their behaviours have an effect on their own rights and those of others. All members of the school community treat each other with respect. Cumnor School is situated in an area which is not particularly culturally diverse, therefore we place a great emphasis on promoting diversity with the children. Assemblies are regularly planned to include stories and celebrations from a variety of faiths and cultures. Our RE and PSHE teaching reinforce this. Each year the children explore a world faith alongside their learning about Christianity. Members of different faiths or religions are encouraged to share their knowledge to enhance learning within classes and the school. At Cumnor we will actively challenge children, staff or parents expressing opinions contrary to fundamental British Values, including those expressing ‘extremist’ views.